I found this interesting essay, entitled The Faith: The Nation: Prime Principles of Survival, in a collection of Frank Duff's essays entitled The Woman of Genesis. The essay is obviously written after Vatican II, since it mentions it, and the book was published in 1976, but I don't know the exact date for the essay itself. 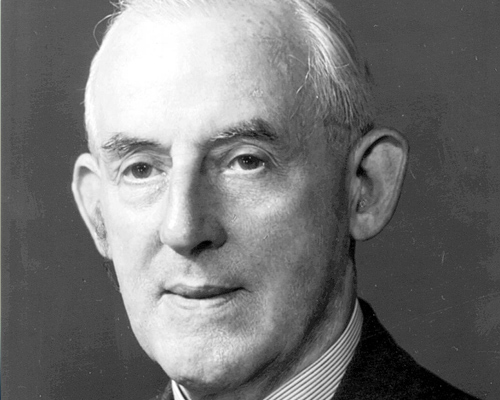 Frank Duff, of course, was the founder of the Legion of Mary, and his cause for sainthood is currently being examined. I've always been rather dismissive of the argument that Irish Catholicism, at its heyday, was "a mile wide and an inch deep"-- but Duff seems to support it here, to some extent at least. Then again, Duff had very high standards and perhaps he was over-critical. It's hard to tell. I fear that the majority of our people have but a mechanical goodness. They attend Sunday Mass and the Sacraments but have no depth in their religion. They do not know it properly nor live their lives according to it. They can be quire undutiful, neglectful of the principles of honour, devoid of apostleship which the Vatican Counil has proclaimed to be a basic element of Catholicism. We are bringing forth little better fruits than respectable paganism would. Drinking has now become the new deluge. We are not being protected from the slaughter on the roads nor from the criminal. It is no answer to say that the same applies to other countries. We would be doing better if our religion were real. It has always been imagined that the Irish people have a unique regard for the Mass. Therefore it is a shock to encounter proofs to the contrary. I have now covered a good deal of the surface of the country and I can tell you our experience in regard to daily Mass, which surely is the test of appreciation. The attendance is miserable in proportion. Yet in the smaller places there is nothing doing at that time, and the majority could attend. I specify one case where we had a priest with us and offered a week-day Mass to a village which normally has one on Sunday only. Not a single local turned up for it. Other places would be better but not much better. Does that sort of thing afford justification for our alleged love of the Mass? Acute French observers, coming here soon after the Second World War, declared that they saw a remarkable likeness between the Ireland of that time and the France of two hundred years previously; the same characteristics and same weaknesses. Two hundred years ago would have ago would have been the period in which France would have prided itself on being the most Catholic country in the world, that is immediately preceding the French Revolution. The French Revolution did not create all the hollowness and the hatred of religion which then appeared. It only revealed what was there. It was like taking off a mask. There are many other interesting things in this essay. At one point Duff mentions sociologists (unnamed) who have predicted that Christians will have dwindled to less than five per cent of the world's population by the end of the century! And not in any spirit of derision or contradiction-- he seems to think this reasonable enough. He also warns against the temptation of using modern media as a "short-cut" to evangelisation, saying they should be an "incidental aid" but adding that he has heard of but few conversions through reading and none through TV. The extremely high standards of saints can be easily disappointed, I think. St John Paul II became disappointed with the Polish, at least at times! And yet Poland is today the only place in Europe with full seminaries and willing to buck globalism for the Faith. I have the gall to say that although I am not a saint like I believe Duff is, I am not Irish and I did not live back then, I still don't think the great Frank Duff is right here: "I fear that the majority of our people have but a mechanical goodness. They attend Sunday Mass and the Sacraments but have no depth in their religion. They do not know it properly nor live their lives according to it." Only saw this comment now. I actually think you are right. But I thought it was only fair to present this counter-evidence to the argument I've made in several places, including my Amazon review for your book. In my opinion, Frank was perhaps expecting too much of country people vis a vis the cities. Daily Masses in Dublin were packed in my days in the 60's but that was from a huge population. Country people went to Mass on Sundays without fail, to evening devotions in May and October and to Holy Hours on Sunday evenings. Going to church involved a good wash after hard physical work and the donning of one's best clothes. Lifts from a neighbour might also be needed. Frank had many letters printed in the Irish Times and given in their full unedited form. It would be wonderful to have them gathered into a book if that were possible. Yes, I think he was expecting too much. One can only speculate what he would think of the situation today! I would like to read a collection of his IT letters too, though I'm not a particular fan of his prose style, which I find rather pedantic and sterile. Are the Irish particularly Catholic though? Macaulay says, in his Essays or the History of England, that if Mary had succeeded in re-Catholicising England, that the Irish would have become furious Calvinists in response. I remember Anthony Burgess comparing his Irish Catholic upbringing in Manchester unfavourably with that of his Italian wife, where much less emphasis was placed on guilt. Interestingly, this kind of puritanical Jansenism is found in Flanders and to some extent in France, which are places where the Reformation nearly succeeded. I think you can make a parallel with the Czechs, who ended up on the wrong side of the Reformation, and who are now the most atheistical country in Europe, almost as a kind of delayed reaction against Catholicism. Christianity has collapsed in most places, but the sort of furious hostility towards Catholicism in Ireland is much more severe than the comparatively mild attitude towards Christianity in England. Basically, once Britain left and Catholicism stopped being a symbol of resistance to Britain, its artificial position was no longed being propped up, and thus collapsed. I think this is true to an extent, but not entirely. Irish Catholicism pre-dated the Norman invasion. There's no real reason to credit Macauly's jeer, which I've never heard before. Sure, anti-British sentiment certainly fed into Irish Catholicism, but I don't think it was ever the main motive power. There are so many different theories put forward for the decline of Catholicism in Ireland. Thanks for the response, much to mull over! BTW, have you ever written about your holiday to Hull? If not, I would be quite fascinated to learn more about your impressions and the trip overall, as someone who is familiar with the area. Not as such, but funnily enough I was watching a video about the Maritime Museum in Hull this very evening! I should write that post. I may write it right now!